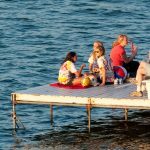 UWPD Lake Rescue & Safety employs both Lifesaving Station Operators (TE’s) to work at the station and Student Lifeguards to guard at the popular Memorial Union swim pier. Please see the sections below for more information about the jobs and current job openings. We are currently hiring Lifesaving Station Operators (TE’s). If you have any questions about the requirements listed below or are interested in scheduling an interview, please contact Sean Geib at (608) 262-5865 or via email. We employ Lifesaving Station Operators to work at the boathouse of the UW Lifesaving Station. The season of employment runs from April through October (see our hours for more details). 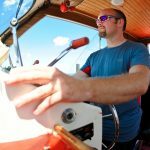 Duties include operating two 31′ twin-screw rescue boats to assist UW and private boaters, maintaining a watchful eye on current lake users, and monitoring weather conditions. We are currently hiring Student Lifeguards. If you have any questions about the requirements listed below or are interested in scheduling an interview, please contact Sean Geib at (608) 262-5865 or via email. 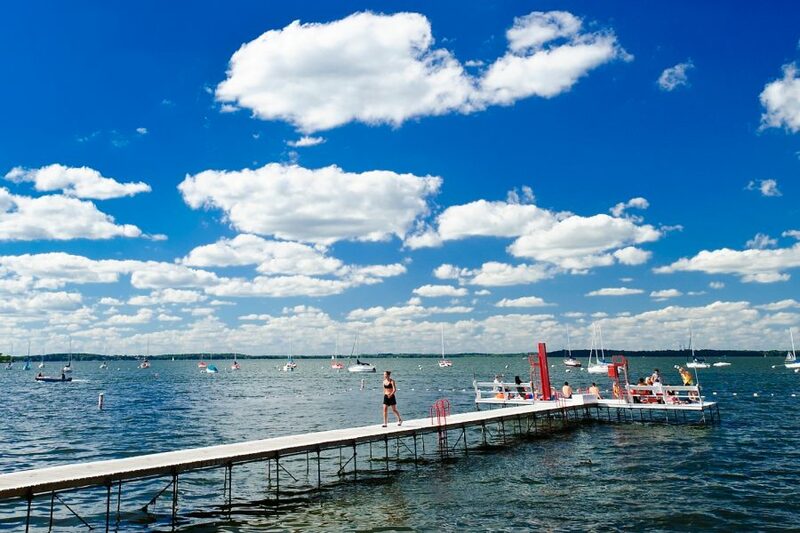 We employ Student Lifeguards to work at the Memorial Union swim pier. The lifeguarding season runs from the Saturday of Memorial Day weekend through Labor Day. Duties include ensuring the safety of swimmer and pier users and working closely with UWPD Lake Rescue & Safety. Shifts are seven days a week from 11:00 a.m. to 4:00 p.m. and from 4:00 p.m. to 9:00 p.m. Guards will work approximately four shifts per week. We do NOT provide refresher lifeguard or CPR (CCR)/AED/First Aid training. Please check with your local community or American Red Cross for when these classes will be offered.